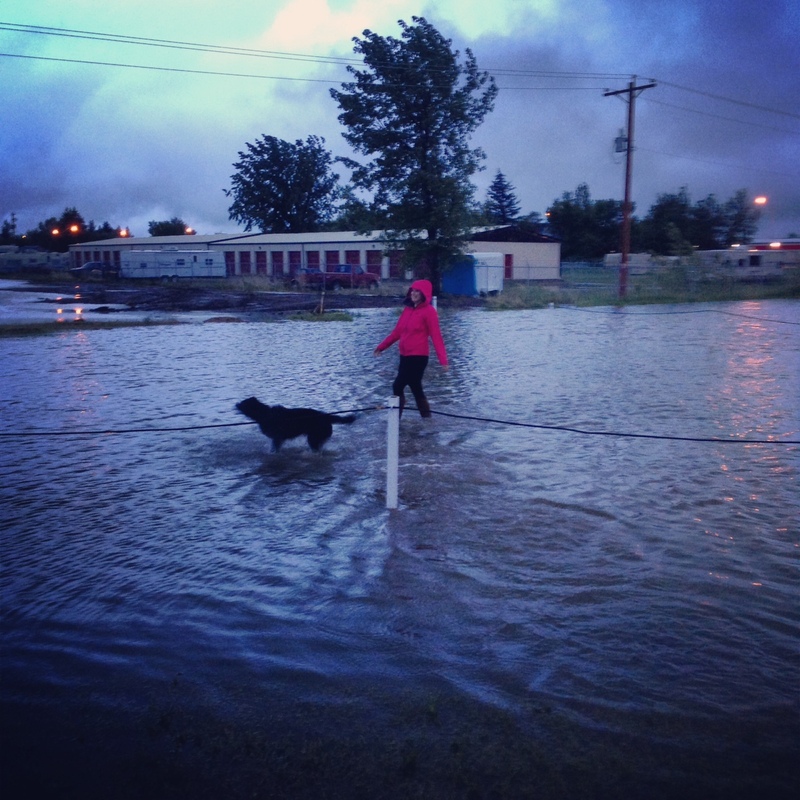 I was flabbergasted that we had another flood threat in Southern Alberta almost the day of the one year anniversary since the worst flooding in Alberta history. 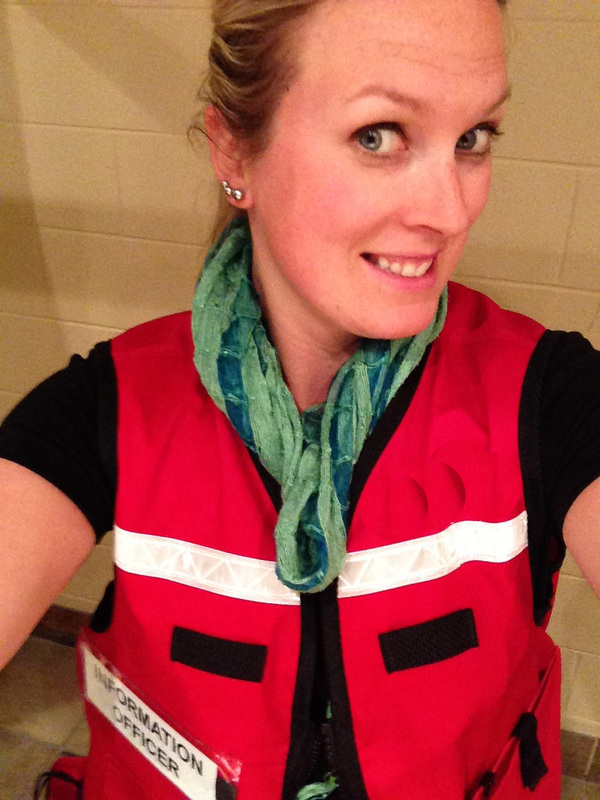 As Communications Coordinator for a rural municipality I have been working like CRAZY during this event. 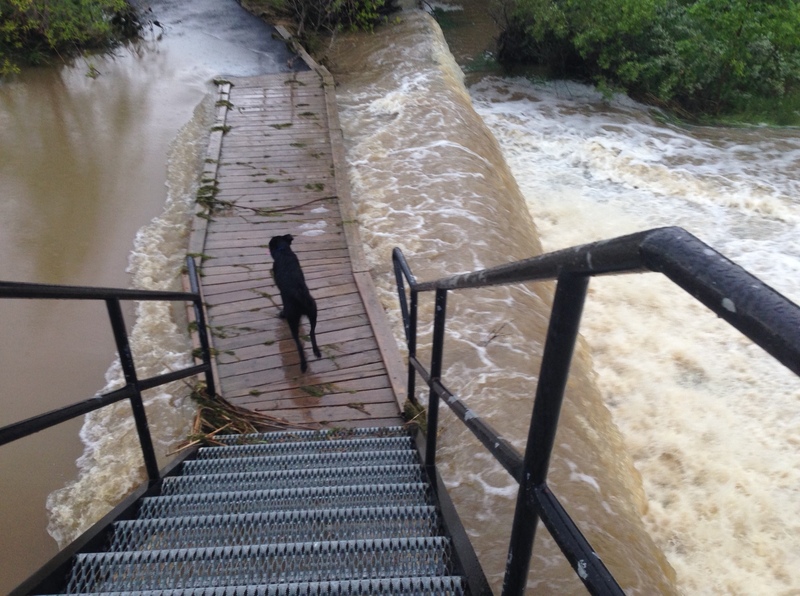 We had the threat of flooding in the river valleys and we had severe overland flooding. The silver lining to the long hours and hectic pace was that I was able to go up in a helicopter to take pictures! 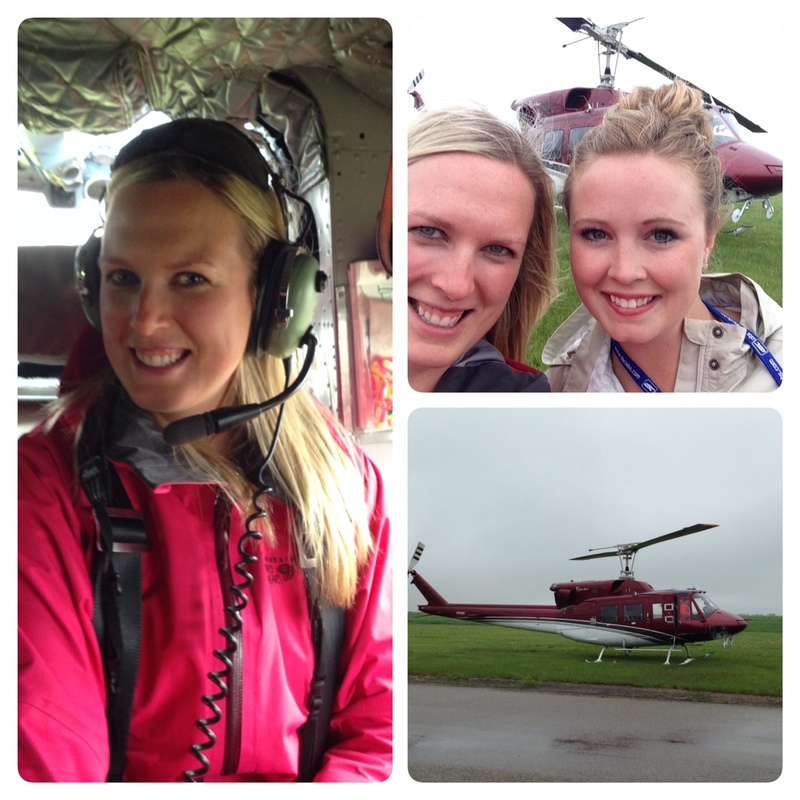 I also discovered my motion sickness is severe when in a helicopter. Ha ha! I had to blow off some steam on Wednesday night so I headed out with Rocky for some puddle jumping. I was going like crazy coordinating media interviews and messaging. 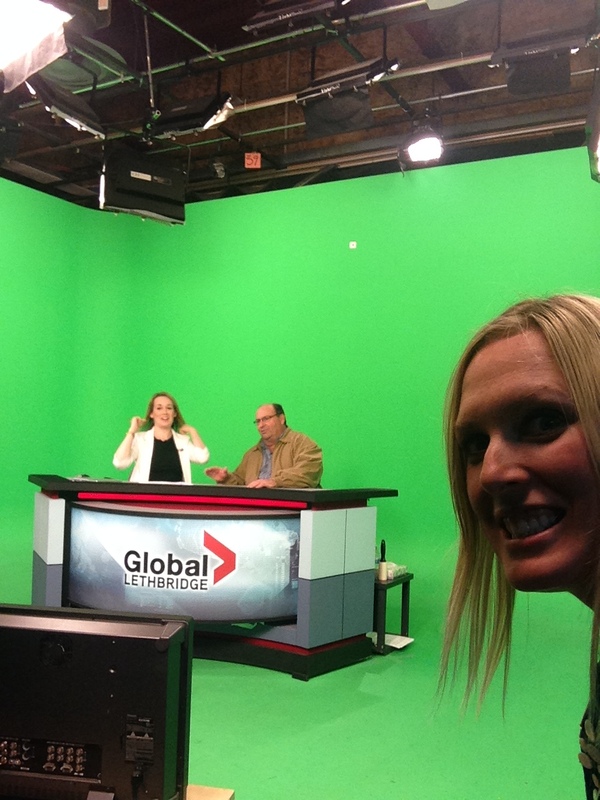 Igot to visit the set of Global Lethbridge and snap this creepy selfie! 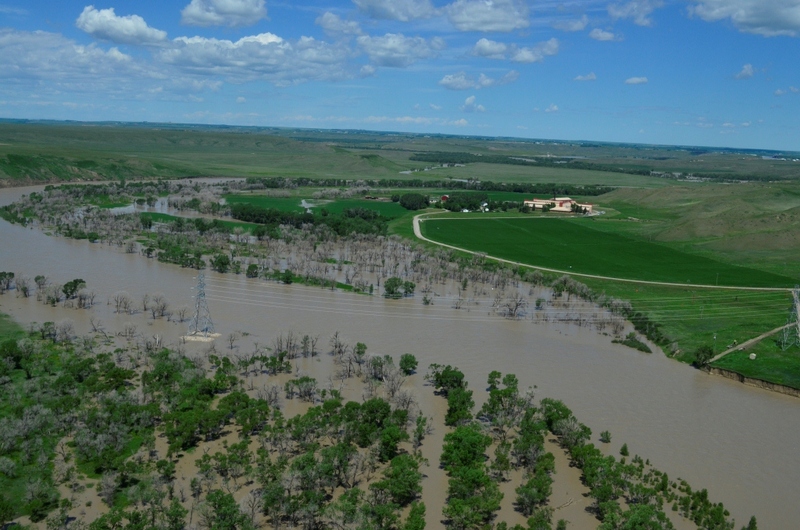 We were fortunate because the threat of extreme flooding in the river was called off and as of Friday, June 20 we are looking at a sunny forecast. 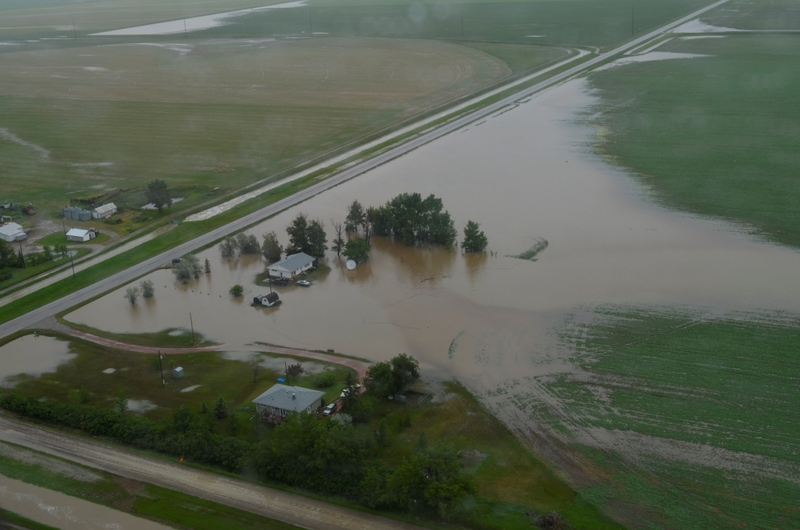 There is still so much to do as homes, properties and fields are flooded. I’m just glad it wasn’t as severe as last year. 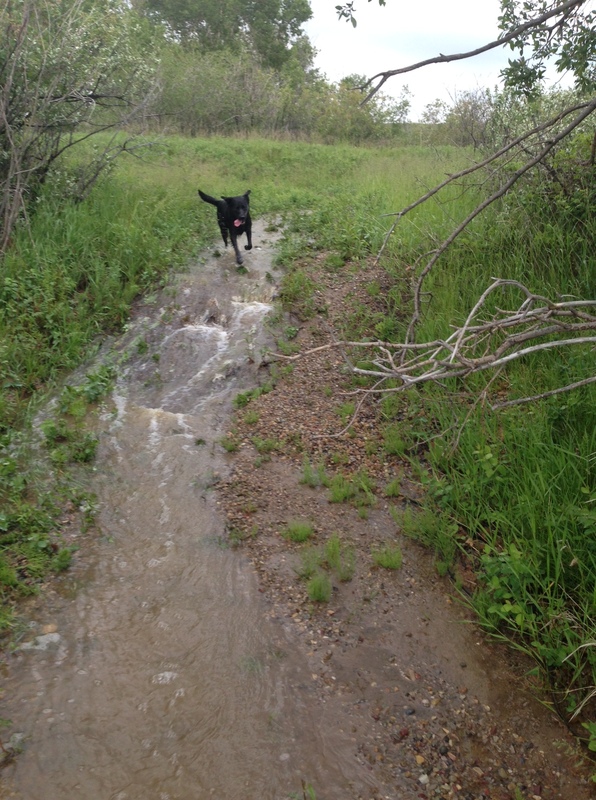 In what little off time I had, I took Rocky out with the bike and hit the very flooded nature trails. I was so busy worrying about the flooding in the County I work for I didn’t pay attention to my own town which had closed the trails! Oops!! 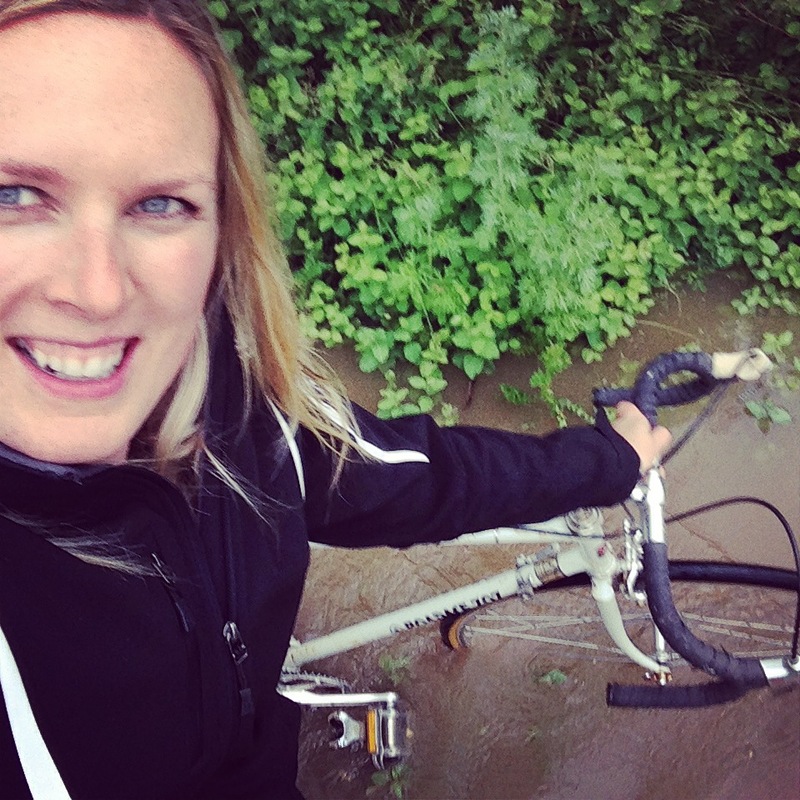 Pushing my bike through lots of water! This bridge was not safe. We shouldn’t have crossed. I am on call all weekend as my municipality still has drainage and flooding to deal with. I can only hope that everything runs smoothly and I don’t have to come in. But if I’m needed, I will be there!